With an extensive portfolio of completed residential projects throughout North London and North West London over more than a decade, Scenario Architecture sees the capital as home terrain. Our clients have helped propel us to North London architects of choice: changing North London’s architectural landscape house by house. We established Scenario in 2007 with a vision to develop a uniquely collaborative method of architecture. We take a considered approach to our clients’ desires, placing their aspiration for a new, architect-designed home in high definition. The clients’ needs are the main focus of our design process. A highly functional home is the result of a deep understanding and precise analysis of each client’s unique lifestyle – and that shows in our work. A Scenario house tells the story of the owners – not the architects. 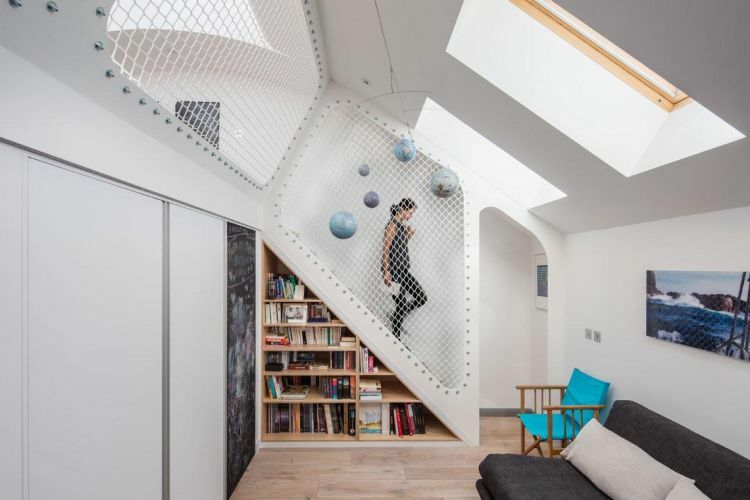 Scenario House, our landmark project in Stoke Newington, London, was covered widely and shortlisted for several prestigious architecture awards – including the 2018 RIBA London Awards. It is proof our successful approach to domestic architecture projects. If you’re considering hiring North London architects, we’re here to help, whether your project is a renovation, extension or new-build. 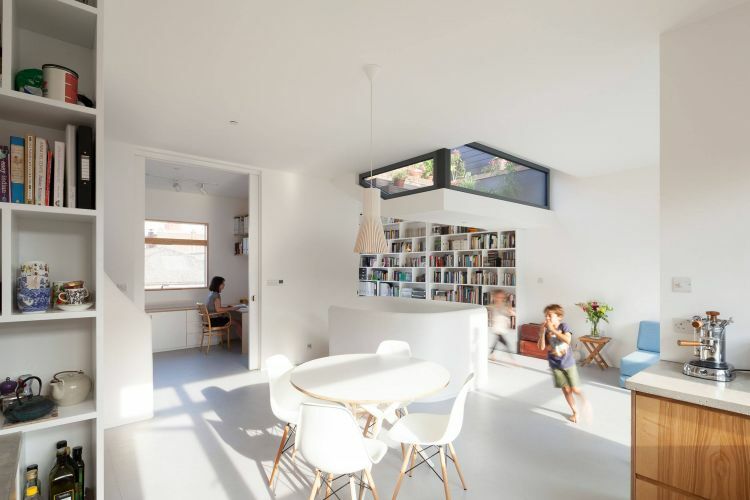 We’ve created a brief illustrated overview to help you understand each stage of the process for your home extension, renovation or new-build in North London or North West London. Most architecture projects in London require planning permission from the local council. 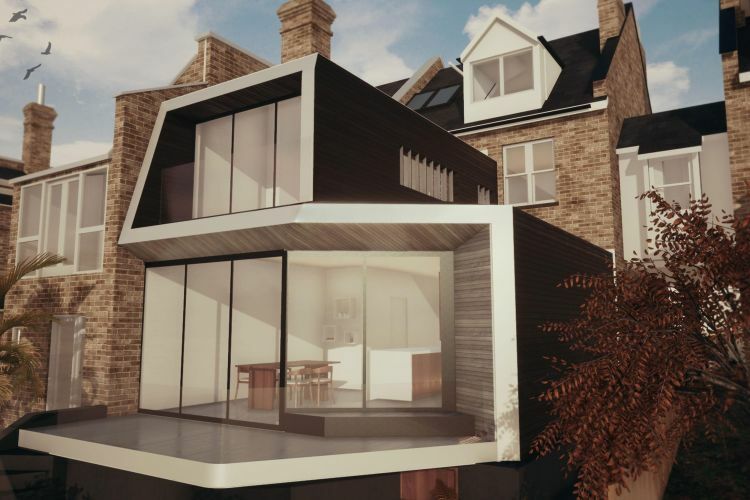 North London architects with a successful record securing planning permission on behalf of our clients, we can claim home advantage across the capital. To help you understand what it takes to obtain planning permission in London, we’ve created a helpful guide you can download below. This guide suits anyone requiring consent from the local council to alter a home. It reviews the ins and outs of UK planning and strategies for successfully navigating it, based on our own extensive experience. 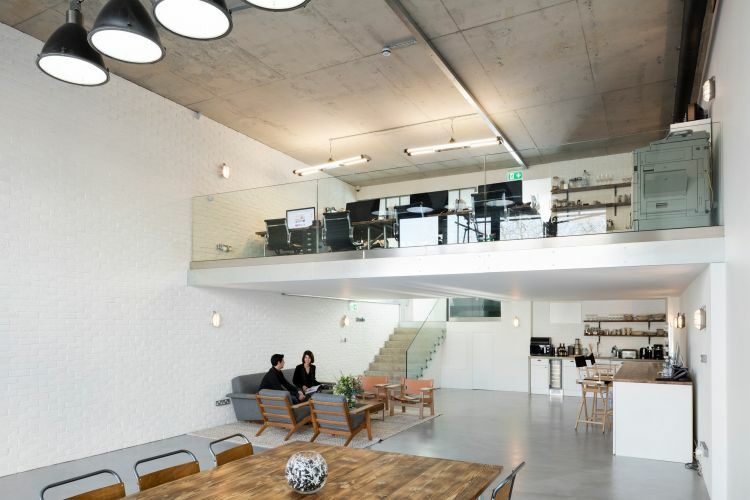 Scenario Architecture is a boutique architecture studio focused on high-end residential projects around London. We tackle domestic architecture of every scale and complexity, from interior refurbishments to full renovations and new-builds, through our bespoke architecture service. Our friendly, highly skilled team can take you step-by-step through the challenge of designing your new space. We’ll all collaborate closely from the initial drawings, detail design and planning through tender and construction to the successful completion of your project. On time and on budget. Early adopters of the latest technology, we use 3D design and visualisation tools as a standard on all projects. Our experience shows that real-time visualisations and virtual reality are extremely efficient for choosing finishes, fixtures and fittings, and simulating natural light. We use 3D building information modelling (BIM) to produce reliable construction information, so all our data comes from an accurate, coordinated 3D model. Using this cutting-edge technology collaboratively with consultants and contractors is proven to save our clients time and money. The capital sees millions of tourists every year, who are there to soak in the culture and rich history. The main attractions are usually the buildings that are visible all over the city, from Big Ben to the The Shard. However, there is much more to architecture in London than skyscrapers and landmarks; the vast open spaces in North London that hold thousands of years of garden and landscape architecture history. There are acres of quality green spaces across London, which are free to visit and connect with nature, undertake exercise or learn something new about their unique history. They serve as a unique escape from the hustle and bustle of the city and they can also give an awe-inspiring insight into London’s heritage. One of London’s eight Royal Parks and also known as the ‘Jewel in the Crown,’ Regent’s Park covers 395 acres of land. The combination of vast open spaces, tree lines pathways, stunning gardens and children’s play areas make it a multi-purpose park in the heart of London. This vast rounded park, as we know it today, was designed by John Nash for King George IV. Regent’s Park is truly a masterpiece of landscape design and town planning, but it used to be a hunting chase and isolated farmland. With thick woods heading up the slopes towards Primrose Hill and open woods on the lower ground, the park was an idyllic spot for deer. Now you can spend hours wandering through delicate flower bed and admiring thousands of roses in Queen Mary’s Gardens. The open air theatre is a prominent feature of Regent’s Park with performances running every year from May to September. Regent’s Park is also a welcoming spot for wildlife with a breeding population of hedgehogs and a huge wetland area which homes hundreds of bird species. The air of elegance that existed 150 years ago is certainly remains prominent in the present day. With over fifty historical features, monuments and archaeological sites covering 320 hectares the Heath is London’s largest ancient park. Just a stone’s throw away from the hectic city, Hampstead Heath feels like a safe haven nestled in rambling hills, rich wildlife and calm surroundings. It is also the perfect place to catch a glimpse of London’s skyline, fly a kite, enjoy some bird watching or go for a run. The three open air swimming ponds are open all year round, even though locals might not be tempted during the chillier winter months. It is certainly a popular hotspot when you’re looking for a long walk along the wide open spaces, shady paths or exquisite woodlands. As one of the principle green spaces in London, Hampstead Heath is certainly a nationally renowned landscape. Located adjacent to Finsbury Park Station, this is one of the busiest transport interchanges outside of the city centre. In 2005 the Park underwent a five million pound Heritage Lottery Funded restoration and improvement programme and is the largest park managed by the council. Finsbury Park now boasts a rich variety of landscapes and facilities which now cater for everybody’s needs in the modern day. Its design reflects many of the parks original features including the re-landscaping of the American Gardens and the historical flower gardens of Alexander MacKenzie. The relatively symmetrical composition, formal entrance gates and curving paths, the horticultural features and recreational features are divided clearly into zones. With a dog-free play area, formal gardens, picnic areas, a boating lake and an outdoor gym, Finsbury Park offers a multitude of leisure activities to tourists and locals. From Regent’s Park to Finsbury Park, there is certainly a lot to learn when it comes to the vivid architectural history of these green open spaces in North London.